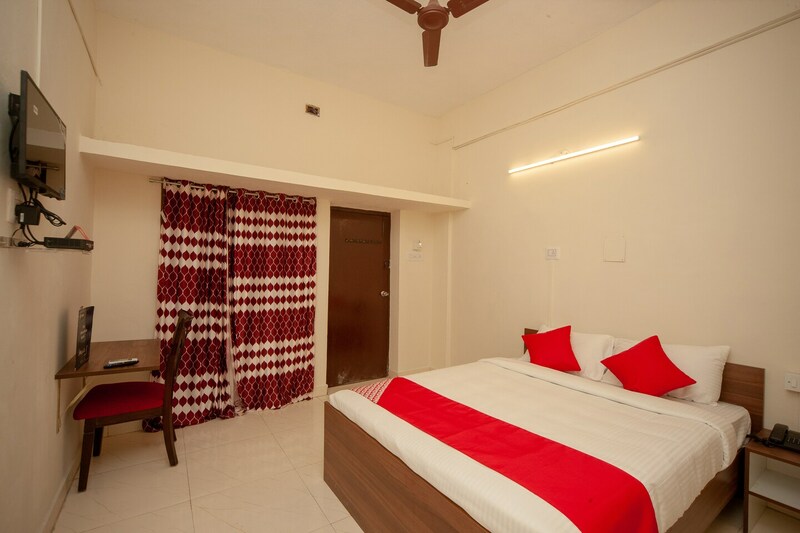 Taasna Towers offers its guests a relaxing and pocket-friendly stay with spacious and bright rooms. The rooms are designed in a minimalist style, with the curtains adding a pinch of drama to the calm place. The colour combinations go well with the all-over aura of the rooms. The hotel has a seating area for those who like to socialise a bit. This hotel comes with a free wifi connection and a dining area. They have card payment options, parking facilities and CCTV surveillance, so your security is also being taken care of. The hotel has got many restaurants in its neighbourhood, making it convenient for the guests.